Founder and Chairman, BDA China, a leading investment consulting firm. Founder, investor and leading advisor on China’s dynamic technology and consumer sectors. 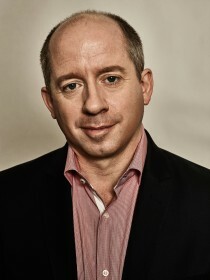 Duncan Clark is a recognized expert on the Internet and entrepreneurship in China, where he has lived and worked for more than 20 years. Duncan is chairman of BDA China, which he founded in 1994 after working as an investment banker with Morgan Stanley in London and Hong Kong. 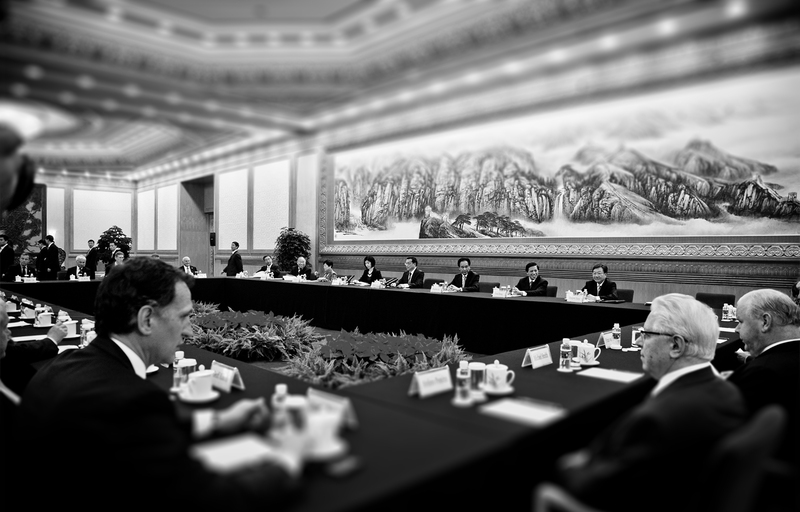 BDA China is an advisory firm serving investors in China’s technology and consumer sectors, employing over 100 mainland Chinese professionals in Beijing. An early advisor to leading China Internet entrepreneurs, Duncan is author of Alibaba: The House That Jack Ma Built, the definitive work on China’s e-commerce and technology giant, its founder Jack Ma, and the forces and people that propelled its rise. 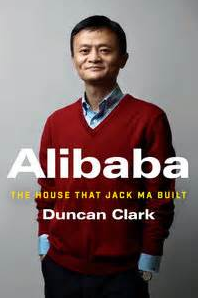 Alibaba: The House That Jack Ma Built, published in the spring of 2016 by HarperCollins/Ecco, has received glowing reviews from The New York Times (“breezy”, and an “engaging” biography), The Economist (“fascinating”), and The Wall Street Journal (“Duncan Clark tells the story with flair… A fine writer”). ‘Alibaba’ was named a Book of the Year by The Economist magazine and short-listed for ‘Business Book of the Year’ by the Financial Times/McKinsey. A senior China policy advisor to institutional investors, corporations and governments, Duncan is also a cofounder or early stage investor of a number of technology ventures including AppAnnie, Student.com and Radish Fiction. He is an independent director of Bangkok Bank (China) and an advisory board member of WildAid – dedicated to ending the trade of illegal wildlife products in our lifetime – and the Digital Communication Fund of Pictet et Cie.
A UK citizen raised in the UK, US and France, Duncan is a graduate of the London School of Economics and a former Visiting Scholar at Stanford University. After serving as Chairman of the British Chamber of Commerce in China, Duncan was awarded an OBE in 2013 for services to UK-China trade and investment. Click here to access the article featuring Clark: “China’s Latest Crackdown on Message Groups Chills WeChat Users”. 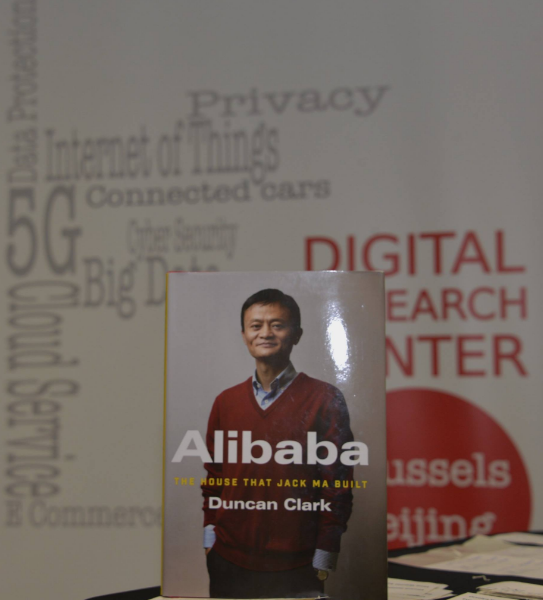 Click here to access the article featuring Clark: “Alibaba’s rise creates 10 billionaires not named Jack Ma”. Click here to access the article featuring Clark: “An inside look at how China’s internet giant Alibaba has taken on the world”. Duncan Clark: Will China’s clampdown on internet shopping fraud work? Click here to access the interview featuring Clark: “Will China’s clampdown on internet shopping fraud work?”. Click here to access the article featuring Clark: “China harnesses big data to buttress the power of the state”. Duncan Clark featured in: Can Jack Ma, Asia’s richest man, create 1m jobs in the US? I write this morning with a book recommendation, and not the book you might think I’d be recommending. Ma’s story is fascinating. Unlike much of the Chinese political leadership, he comes from neither a well-connected family nor from a top university. Instead, through his wily ways and attention to the changing world around him, he cobbled together an e-commerce monolith that is unlike anything in the West. Clark tells this story clearly and objectively, though he clearly admires Ma and the people around him. As I wrote in my feature article, for all its fame and the success of its 2014 initial public offering on the New York Stock Exchange, Alibaba remains poorly understood outside China. Compared with its home market, its businesses are nascent everywhere else, but they won’t stay that way. Clark’s book is a one-stop shop for beginning to understand one of the most important companies in one of the world’s most important markets. Because Alibaba’s story involves one-time U.S. Internet giant Yahoo as well as Softbank, the still-relevant Japanese telecommunications, and investment firm, Clark also does a good of job reviewing some dot-com history that had become gauzy in my mind. Clark’s admiration for Ma has its limits. He recounts, for instance, the 2011 spat between Alibaba and its investors, Yahoo and Softbank, over Alipay. In that largely forgotten episode, Ma transferred ownership of Alibaba’s critical payments arm, now known as Ant Financial, into a new entity he controlled, effectively taking it away from Yahoo and Softbank. Clark describes Ma’s defense, that the Chinese government wouldn’t grant a license to a payments firm with such high foreign ownership. What he doesn’t explain is why Ma didn’t bother telling Yahoo and Softbank, whose principals were furious. Alibaba (BABA, +1.24%) is on a trajectory to be an important global company for years to come. Understanding its story—and that of its charismatic and quirky co-founder—is important for anyone who needs to know about the future of business. As China’s second richest man, Jack Ma is the global face for the country’s innovative tech entrepreneurs. While he recently met with US President Donald Trump to discuss ways to create more than a million jobs in America, Ma’s mighty e-commerce empire Alibaba famously began in a modest Hangzhou apartment 18 years ago. While Alibaba began with a focus on business-to-business e-commerce and became profitable within two years, the company exploded with the 2003 founding of its business-to-consumer platform, Taobao. Its AliPay function was spun off into its own separate business a year later. With a purported 80 percent share of China’s e-commerce market, Alibaba is turning its eyes abroad. Its USD25 billion initial public offering (IPO) three years ago on the New York Stock Exchange was the world’s largest. It recently struck a deal with Steven Spielberg’s Amblin Entertainment, showing its bold intentions to infiltrate Hollywood. As a result, Alibaba: The House That Jack Ma Built has been greeted with keen global interest with editions available in 15 languages and counting. While Alibaba’s rise to global prominence is seemingly on a smooth course, Clark examines a growing challenge that Chinese entrepreneurs like Ma will face in his Shanghai Literary Festival talk, Pragmatism vs. Populism, that explores rising anti-trade sentiments abroad. Duncan Clark, Author of “Alibaba: The House that Jack Ma Built” and Founder and Chairman of BDA China speaking at ChinaEU in Brussels. Read more here. “Now that the dust has settled a bit I thought I would pop you a mail to try and express what a privilege it was to work with you and the SAGE worldwide team. I just wanted to say a big thank you for the excellent speaker address, tight deadlines and quick turnarounds.